When Harriet came to see us, she had been around a few bridal shops in her hunt for the perfect wedding dress. Nothing was giving her what she wanted. She had already selected her venue, Wasing Park in Berkshire. Having family connections with the venue made that a very easy first choice – and an excellent choice too! 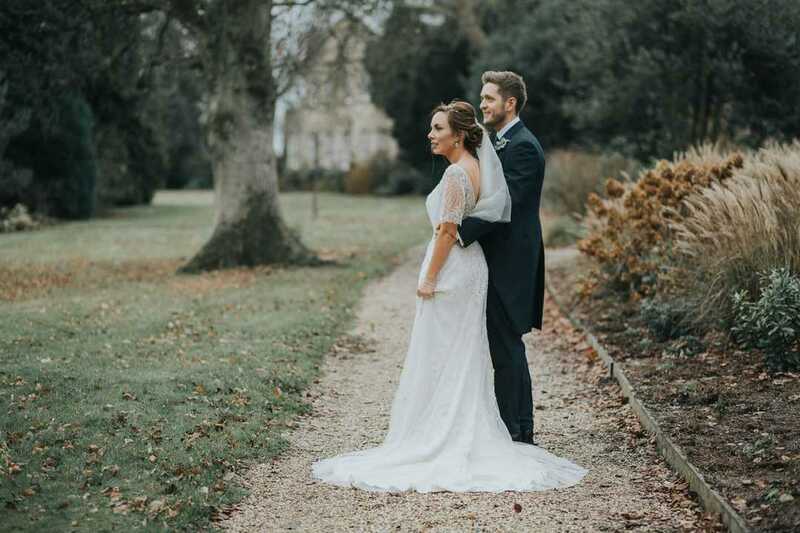 Given the period beautiful surroundings, and that it was to be a winter wedding, she wanted something with a hint of colour and a splash of sparkle. After getting to know each other a little, she selected a number of dresses to try and it wasn’t long before she fell for a Jasmine Couture dress. What a great choice! With a vintage like golden hue and beautifully embellished back and sleeves, this was the one! And, doesn’t she look simply stunning on a day that she will remember forever. Lovely words from a truly lovely bride. And, if you’re wondering who was responsible for such captivating images, it was Studio Rouge.